“We hope all schools reject this regulation and continue their commitment to serve healthier foods on our kids’ plates. Many schools declared they would do just that when these changes were first announced late last year. With nearly 100 percent of the nation’s schools already complying with the school meal standards that were released in 2012, children across the country are clearly benefiting. “USDA’s decision to weaken the standards – despite overwhelming opposition – threatens to reverse our progress toward ensuring our nation’s children receive healthy meals at school that help them attain better long-term health and academic success. If the concern truly was to provide those few schools experiencing challenges with more ‘flexibility’, the more responsible approach would have been for USDA to provide more technical assistance to these institutions so they could offer healthier food choices. “When it comes to our children’s health, there should be no ‘flexibility.’ Failing to meet the science-based sodium standards for school meals originally adopted by USDA will put kids’ health in jeopardy. 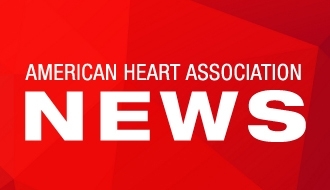 The American Heart Association’s comment letter on USDA’s interim final rule is available here.